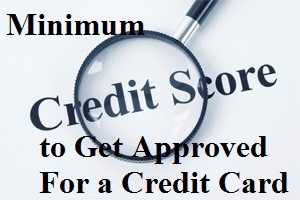 How much minimum credit score required for credit card approval? If you have a question like, how much Cibil score required for credit card application? Then, you need to know all about credit card score range. With advancement in technology and fast pace of life, the way of doing financial transaction has changed totally. Most of the people use a credit card for paying their bills, making purchases etc. There are so many financial services providers that issue credit cards. When it comes to getting a credit card, one always like to get it from a trusted provider and who also offers good credits as well as offers some rewards. It is very frustrating if you are denied a credit card you want to get. You need to have certain credits that meet the criteria of the credit card issuer in order to get approved for a credit card. It mainly depends on the timely payments you are making. If you are denied a credit card many times, then it is also a bad credit. There are different credit scores required for different types of credit cards. Following given is the group of credit considered for approval of various credit cards. Credit above 780 is considered as super credit. To achieve superstar credit is very hard. It requires a long time of track record of five to ten years of on-time payments of credit card accounts, student loans, mortgage etc. Credit between 700 and 780 is considered good credit. With good credit, you are likely to get approved for most of the credit cards. To earn good credit, you must have been using credit for at least a couple of years. Make sure that you don’t have too much debt or too many credit cards. You can get credit cards with cash back rewards or even 0% APRs. If you are having credit between 600 and 700, it is considered as average. If you have just started using credit cards and might have missed one or two payments, probably you have 600+ credits. It is not easy to get approval for many of the cards, though you may get approval for some of them. You apply for the credit cards and try to get it approved. Credit below 600 is a poor credit. If you are having a bad credit, you should apply for a credit card in order to rebuild your credit, not to spend money. It is better if you apply for secured credit card. You get secured credit card for the security deposit you have kept that acts as the credit limit. It is somewhat like a debit or prepaid card, but here the secured card will report your payment history and will act towards building your credit history. In a couple of years, of doing so, you can upgrade and even withdraw your deposit. Let's check getmyoffer.capitalone.com reservation number also. You are having too much of debt. You have negative reports of having recent late payments, charge-offs etc. So, earn good credit score, stay away from the negative report, apply for it, get approved and enjoy the benefits. To check more sign up help you can visit home page of this site.